Direction - That we would see city by city, claiming Ohio for Jesus, led by united leaders with healed hearts. A United front with clarity and authority. Presence and Power - We want God to be the center of it all. A New Testament Church - ACTS - where there is an ongoing partnership of the Holy Spirit filling our church meetings and flooding our streets. Where people will be carriers of God’s presence that will change the very atmosphere every where we go. Where we see the Kingdom of God break into the Kingdom of darkness in our region. Prayer - We desire to see the larger body of Christ gather at larger citywide prayer events to pray for our region, state, nation and the world. We want to see houses of prayer, 24/7, “healing rooms”, soaking prayer rooms, concert of prayer gatherings, prayer walking cities streets, campuses, schools, covering our cities with walls of prayer. Prayer networks connecting cities, states, nations. 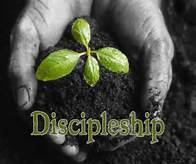 Evangelism/Discipleship - Block by block, family by family advancement of the kingdom. Praying for 500K in Northwest Ohio coming to know Christ and making disciples. Starting with prayer, then in practical sharing and caring. Moving into the 7 Mountains of influence in our region and beyond. Each church helping in a kingdom harvest. Missions - Looking at our region as a mission field where trans-denominational teams would get involved in ministries outside of our own denominations and work side by side in the harvest field. Then expanding beyond Northwest Ohio to the Nations. Opening up mission teams to other churches in our region to impact the world. Arts - We want to see the arts released in our region. Pulling together unique talents of Christians across our region. Releasing drama, dance, music, sculptures and more. To see this mountain taken back. Youth - We want to see turning of the fathers hearts to the children’s heart back to the fathers. A raising up and releasing of the next generations. Where we run the race together, the older generation’s mentoring the younger generations. The raising up of a nameless faceless generations. We want to see citywide youth gatherings and outreaches. Planned and implemented by youth for youth. Youth being mentored and discipled in their local churches and released with the fire of the Holy Spirit so they can walk out their God given destinies’. Helping to lead our region in revival. Poor - Working together to put systems in place to meet the needs of the poor, but not leaving them in that condition. Working with structures that are in place to help change mind sets, equipping, educating, helping with jobs, seeing people delivered from addictions and old mind sets, that will bring them out of poverty. Where the whole person is brought into healing, spirit, soul and body. Coming along side Cherry Street, churches, and other local organizations to see a city transformation. Working and serving to see the Holy Spirit change people one person at a time. Seeing a redemptive lift in our city.